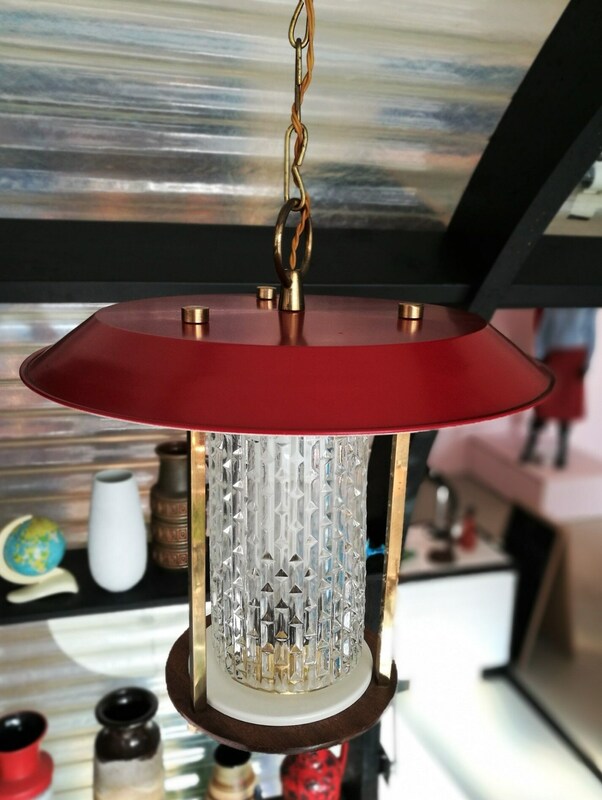 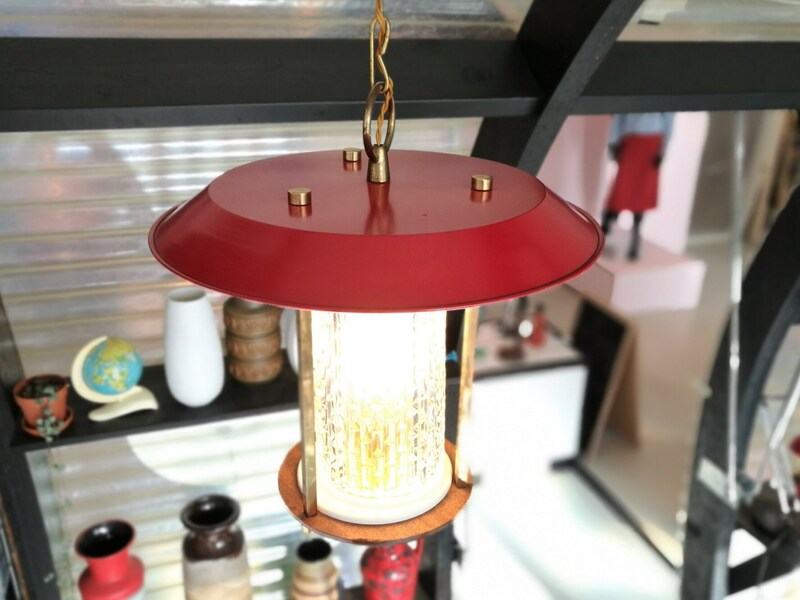 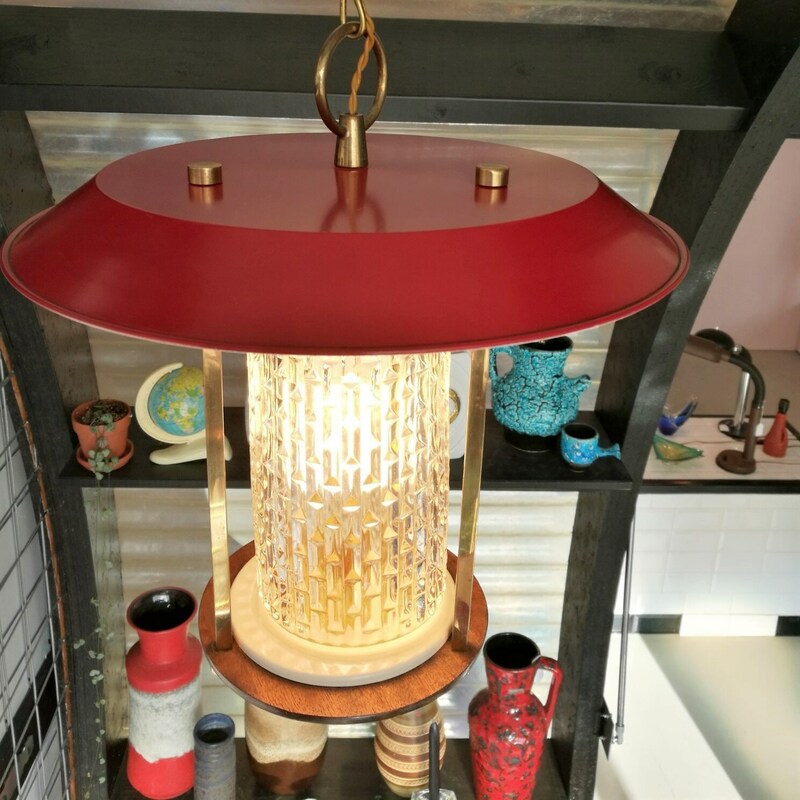 This 'red lantern' hanging light was probably made in France or maybe Italy in the late 50s. 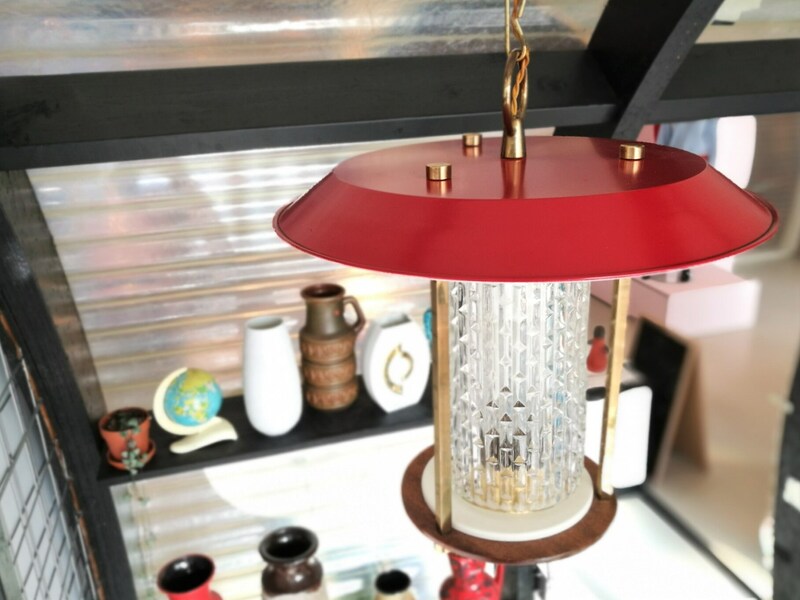 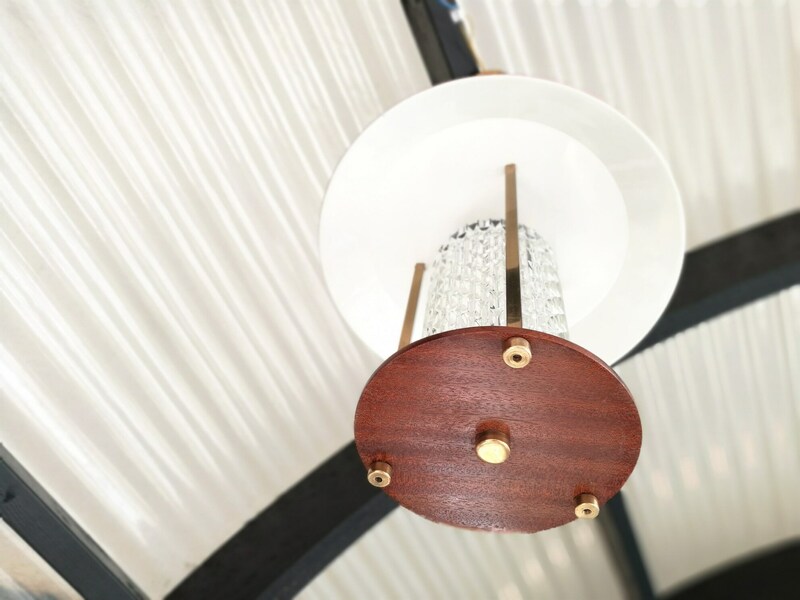 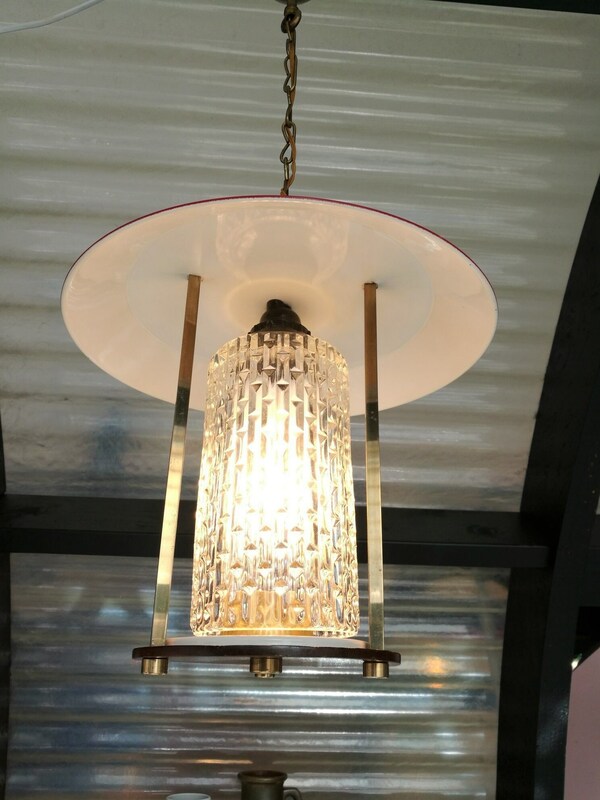 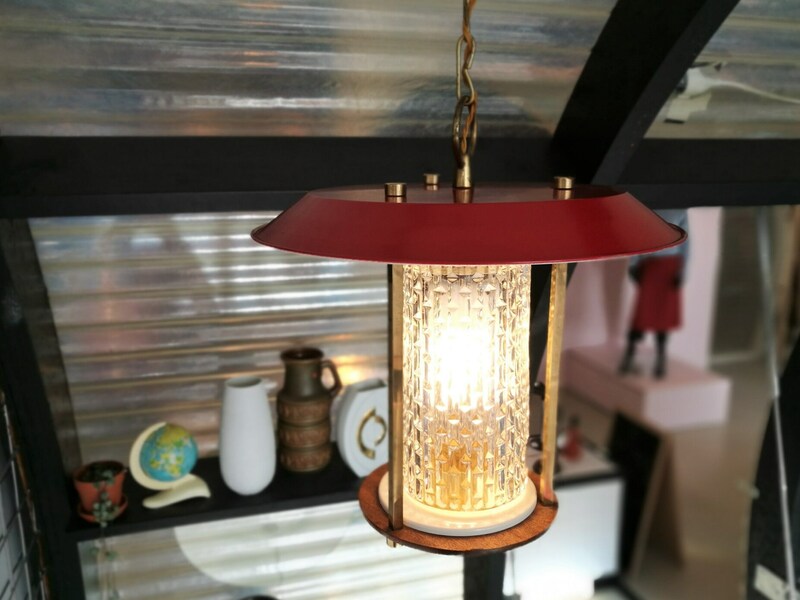 It has a striking red and white painted hood, glass pendule, brass finishes and a wooden base. 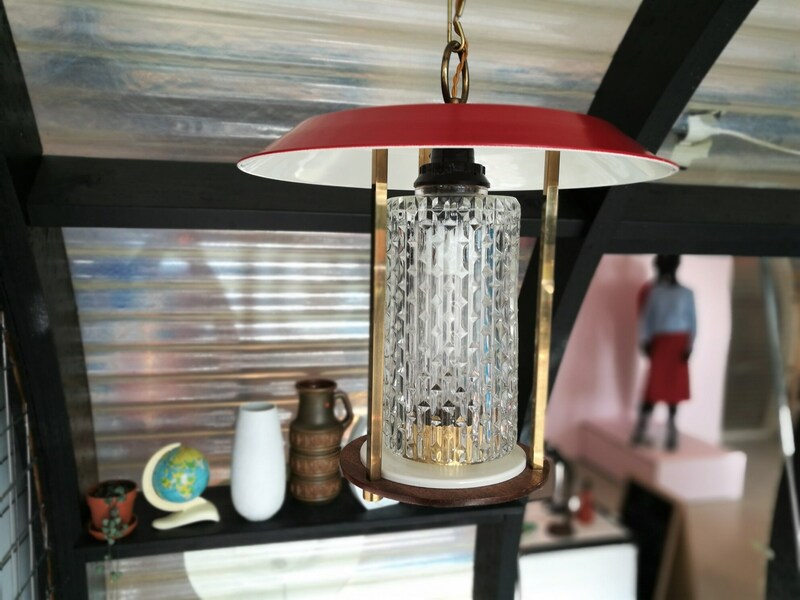 We are unsure if the glass is original but it looks amazing.